Halloween parade, sponsored by Jefferson Township fire department, is Oct. 25 at 7 p.m.
BELLVILLE — The Jefferson Township Bellville Firefighters Association will sponsor The annual Halloween Parade in Bellville. The parade steps off at 7 p.m. on Oct. 25. There will be costume and float judging, with prizes. There also will be free cider and donuts. Line up will be on Ogle Street at 6:30 p.m. 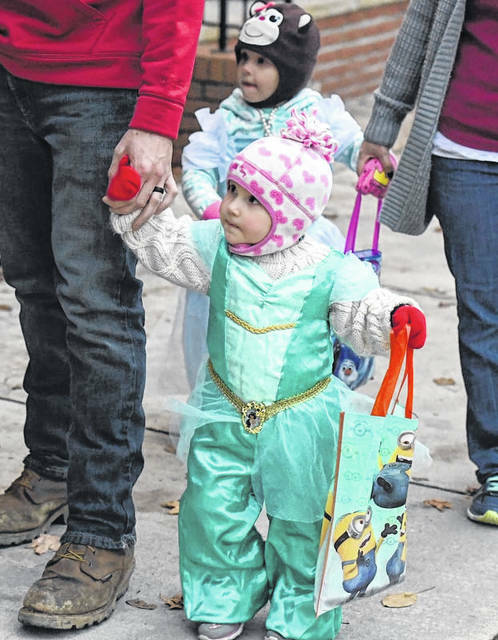 The Bellville Halloween parade is Oct. 25, starting at 7 p.m. in 2018. This photo is from the 2016 parade.